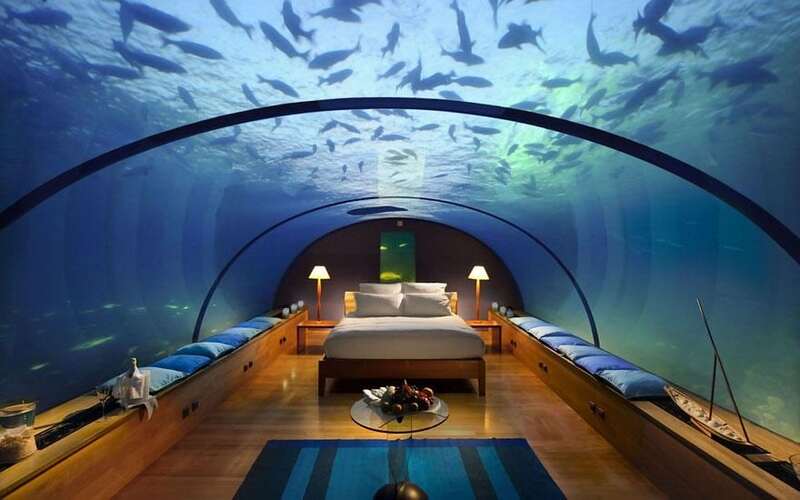 This is simply one of the most amazing hotels you will ever visit. Imagine staying in a water villa with a wide assortment of amenities and entertainment options available for you no matter what your tastes or preferences. For wine connoisseurs and foodies there are four bars and seven restaurants to choose from. Adventurists will get to take part in thrilling water sports, while people looking to relax will have the option of indulging in lavish spa therapies. This hotel has twice been voted the best hotel in the world. It’s like escaping to an otherworldly paradise. Its secluded villas make sure you can enjoy your vacation in complete privacy.